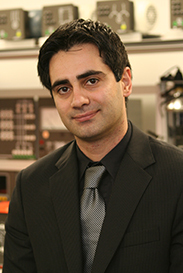 Associate Professor Alireza Khaligh (ECE/ISR) has been elected a 2017-2018 Distinguished Lecturer for the IEEE Industry Applications Society (IAS), one of 12 people worldwide to be so honored. The Distinguished Lecturer program allows local IEEE IAS chapters to invite experts to visit and give lectures in their fields of specialization. Distinguished Lecturers serve for two-year terms.